Word hasn’t reached everyone who lives in the area yet. On a recent Wednesday morning, cars pulled in — and right back out — of the driver’s license office parking lot one by one as the sun rose on the small building off Presidio’s main drag. Resident Maria Levario showed up just before 9am to try and schedule her teenage son’s driving test. He needs a license so he can drive himself to and from the new job he’s applying for. “That’s not fair,” she said as she read the small printed sign hung from inside the glass front door. It states that the office is temporarily closed, and lists some alternatives. The closest office, in Alpine, is open 2 days a week — Tuesdays and Thursdays. It’s 85 miles away. The next closest option is in Fort Stockton, 150 miles away. This feeling of frustration is nothing new for Levario. The drivers license office in Presidio used to be open 5 days a week — the old hours are still listed there on the door. And it didn’t just serve Presidio. People from all of the surrounding border communities come here for driver’s license services, from Candelaria to the Big Bend National Park. But in Spring of 2017, the hours got knocked down to one partial day a week — Wednesdays. Isela Nuñez runs the business next door. “You would think that I’m a dance hall, that there was some social event going on because of the amount of cars you would see,” said Nuñez. When the driver’s license office was open, Nuñez’s shop was like a makeshift waiting room. People standing in line would come in to get out of the heat or the cold, or use the restroom. Sometimes they’d even ask for help on their paperwork. Now that it’s closed, they’re coming in asking what they’re supposed to do. Isela Nuñez runs the business next door to Presidio’s driver’s license office. She says residents still show up on Wednesday mornings hoping to schedule driving tests and get IDs. (Sally Beauvais / Marfa Public Radio). 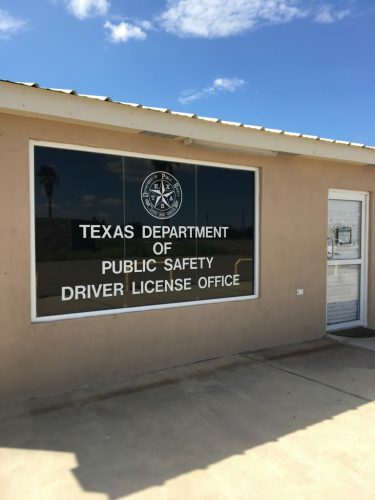 The Department of Public Safety, or DPS, is in charge of the drivers license program in Texas. In an emailed statement, a spokesperson for the department explained that intermittent closures happen in rural offices across the state. They’re often staffed by one or two people who move from location to location throughout the week. And when someone drops, it can take months to find the right employee to fill the gap. Before it closed, an employee from the Alpine driver’s office was traveling down to Presidio once a week to set up shop. She left the job in August, and DPS says the department will need ample time to run extensive background checks and train someone new to staff the office on their own. Joe Portillo, Presidio’s City Administrator, isn’t satisfied with that plan. 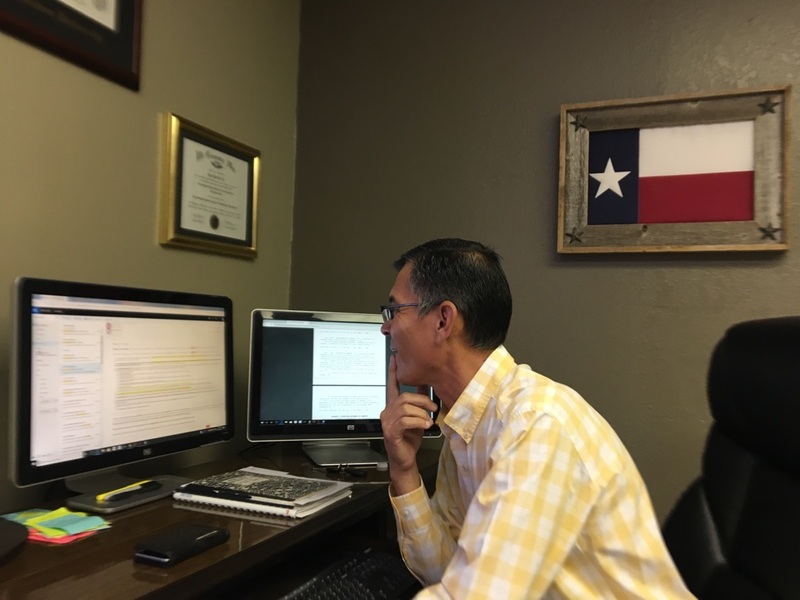 “What is the solution for rural Texas? And is this it?” he asks. He’s been watching this issue in the Texas Legislature over the last couple of sessions. There’s one development that’s given him some pause. Counties, cities, and towns can now opt to provide certain driver’s license services. It’s in Section 521.009 of the Texas Transportation Code. 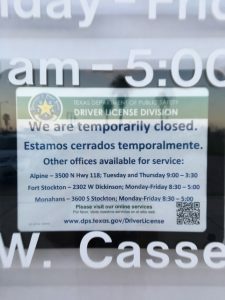 Portillo’s worried that small rural municipalities like Presidio might feel like they have no choice but to consider this option when local DPS-operated driver’s license offices close, even temporarily. He and his colleagues thought about it, but Presidio’s budget — which is about half of Marfa’s, for double the people — doesn’t have much wiggle room for another employee. When they learned that a city-sponsored employee wouldn’t be allowed to conduct driving tests, they decided to wait it out for DPS to restaff the office. DPS is aiming to reopen Presidio’s office by the end of January. In the meantime, residents are experiencing real life consequences. One high school senior says she just got a $300 ticket for speeding and driving without a license. She went through a Drivers Ed course at school, but she couldn’t get an appointment to take the test before the office closed. Now, she needs to find a way to get herself to Alpine or Fort Stockton. Until then she’ll keep driving, unlicensed. “I have to. Because my mom works, and then I have to take my little brothers to school and then I have to come myself to school. So I just try to drive safe,” she said. 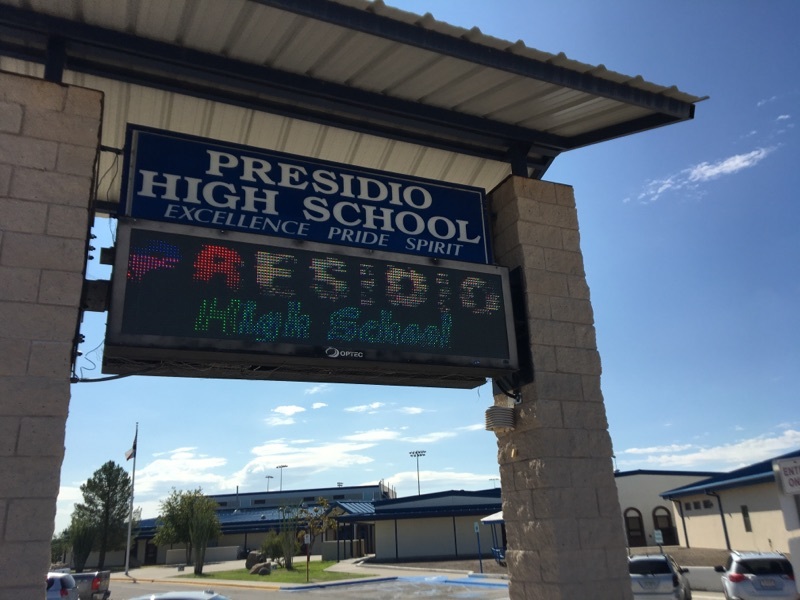 Presidio High School has approximately 85 kids in Drivers Ed this semester. But it’s not just teenagers who are grappling with limited access to driver’s license services. Presidio sits right on the border, and non-citizens living in the area lawfully can’t obtain or renew Texas IDs online. For US citizens living in Presidio — some locals have voiced concern that limited access to photo ID will impact how many people show up to vote in the upcoming midterm election. 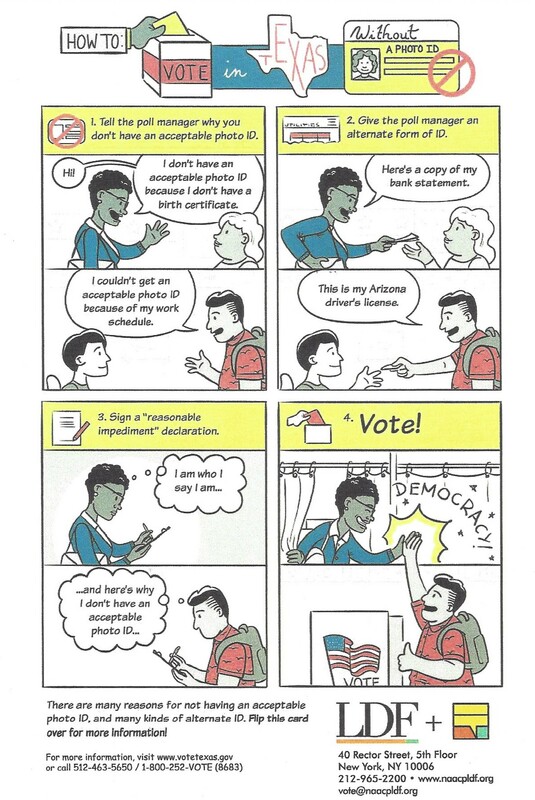 Voter ID laws in Texas hold that you do not need a photo ID to vote – you can sign an affidavit at the voting booth, and bring an alternate form of ID, like a bank statement or utility bill. 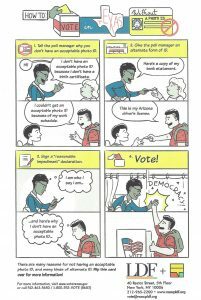 See the complete list of acceptable forms of ID at the polls in Texas in English here and in Spanish here. Presidio officials estimate that somewhere between 5 and 9 thousand people live within the city limits. And according to DPS, the driver’s license office averaged 5 transactions a day when it was open full-time back in 2017. While that number might not stand up to the masses of people demanding services in cities across the state, for residents in this remote corner of Texas, the closure sends a certain kind of message. 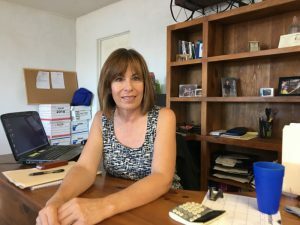 “I mean, it seems like rural america keeps losing and losing and losing,” said Isela Nuñez, who runs the shop next door to the driver’s license office. “And I think the people who make the budgets, they do not recognize rural America. According to DPS, the department has requested funding to more fully staff driver’s license offices across the state during the 2019 Legislative session. The job listing for a customer service representative to staff the Presidio office is open through October 8th. This entry was posted in KRTS News and tagged Driver's License, Photo ID, Presidio, Texas Department of Public Safety, Texas DPS. Bookmark the permalink.